Save 71% on Deadwood: The Complete Series [Blu-ray] (Sous-titres français), today for $34.99, (list price $119.99, save $85.00). 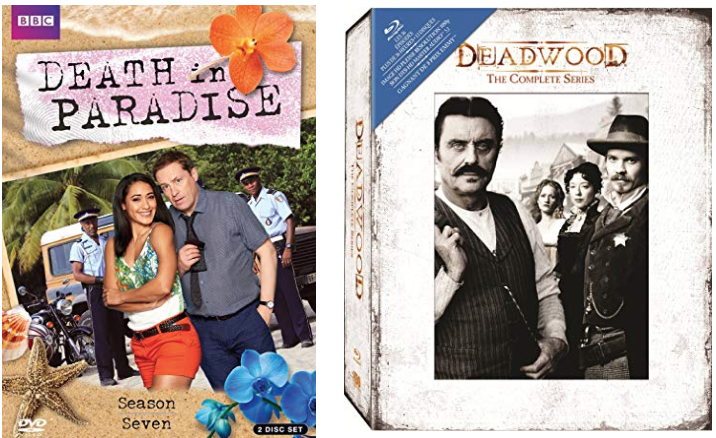 Save 20% on Death in Paradise: Season Seven, today for $34.99, (list price $43.98, save $8.99). This title will be released on December 11, 2019. Pre-order now.